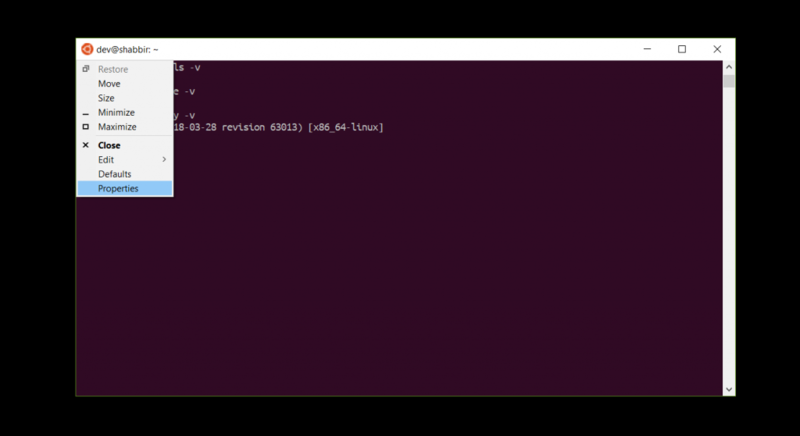 Make Windows 10 Ubuntu bash terminal as like real Ubuntu terminal. Have installed windows 10 Linux subsystems? If so, you did not find flavor as like real Ubuntu? Don’t worry! it’s very easy to make Ubuntu bash terminal as like real Ubuntu, you can follow these steps & reach out the flavor of real Ubuntu. The Ubuntu bash is real while you have installed the Windows subsystem but terminal fonts & color is not really as like Ubuntu, so first you have to download it from their official website Ubuntu font. 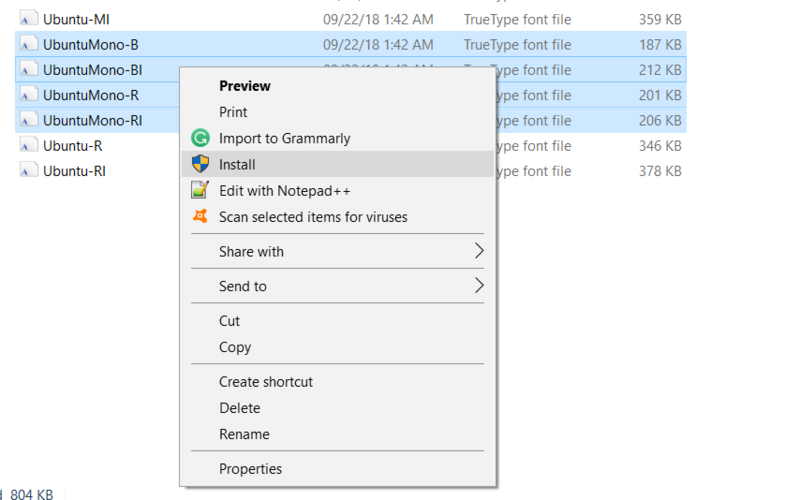 And extract the zip file & go to the extracted folder & mark these four .ttf files. 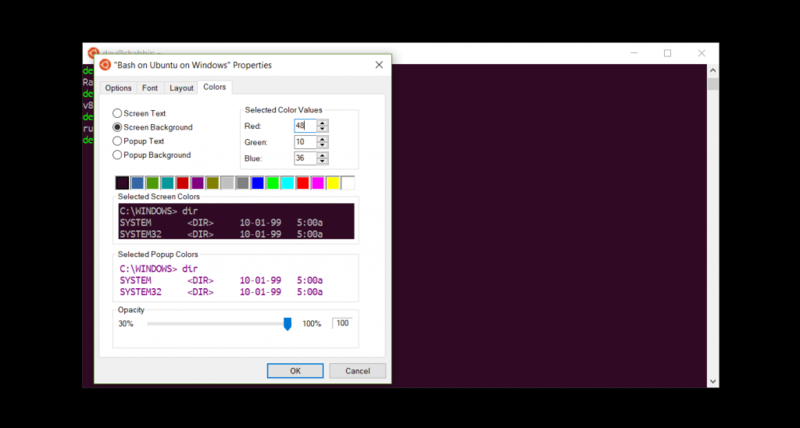 after that open up the Ubuntu bash & click to the left-upper corner select properties. 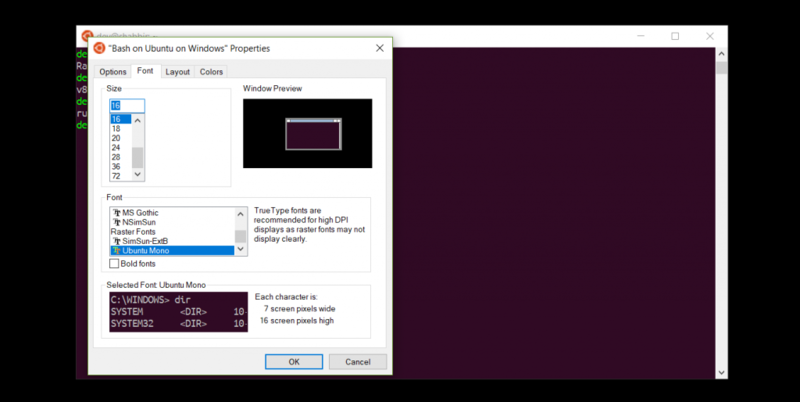 after that click to Font tab & select the Ubuntu Mono font & size 16 and then click to OK.